It centers on the fusing of our master [blenders] with those in other categories, in this case, Bourbon makers. Working collaboratively to build experiences that break the chains of convention. This series will also be the top of the pyramid for Camacho. A second line was added to the series in 2017 named Nicaraguan Barrel Aged that features tobacco aged in Nicaraguan run barrels. 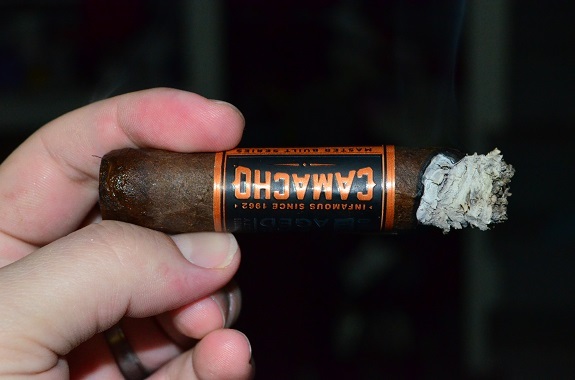 The Camacho American Barrel Aged is manufactured at Occidental Cigar Corp. in the Dominican Republic. 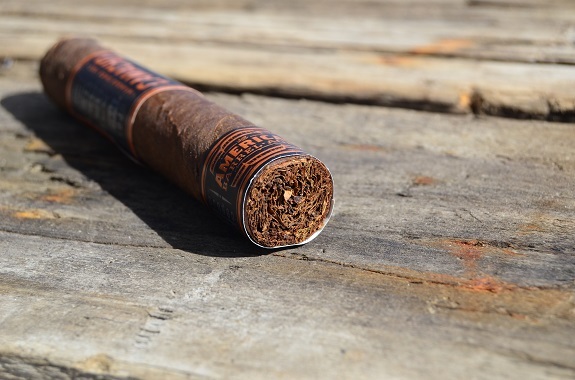 The blend features US grown wrapper, binder and filler tobaccos, along with a Honduran Corojo filler tobacco. The Corojo tobacco is aged in Kentucky Bourbon barrels for five months. Available vitolas include Robusto (5 by 50), Torpedo Corto (4 1/2 by 52), Perfecto Gordo (5 15/16 by 54), Toro (6 by 50), Torpedo Largo (6 by 36 by 54), and Gordo (6 by 60). You can purchase the Camacho American Barrel Aged from our good friends at Famous Smoke Shop. The Camacho American Barrel Aged is dressed in a rustic, dark brown wrapper loaded with veins, bumps, and tooth. Stitch-like veins can be seen running from head to foot and light oils can be felt along the rough leaf. The cigar is rock solid from head to foot with no soft spots to be found. I am picking up notes of cardboard, chicken coop, and a faint vinegar from the wrapper. A hefty spice is on the foot, accompanied by cedar and clove. The cigar requires two cuts to open up a workable draw. The cold draw flavors are rich with cedar, dark red fruit, some sweetness and some baking spices on the finish. 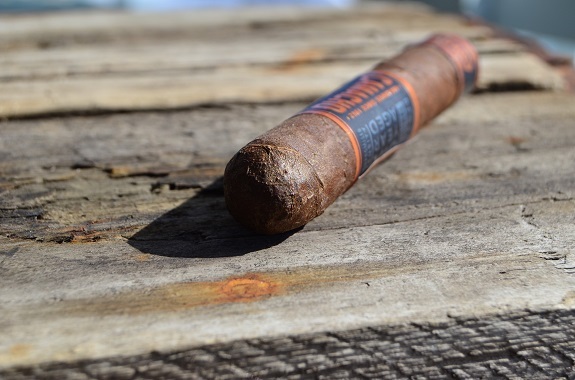 The cigar kicks off with medium to full flavors that are rich with notes of leather, pencil shavings, and pepper, followed by a mild grassiness and sweetness. Heat lingers in the mouth for some time on this Camacho American Barrel Aged. A beautiful white ash is forming as the cigar burns evenly. The flavors have intensified on the American Barrel Aged Robusto as I move into the second third with the leather being the most dominant flavor. The pepper is on the brighter side and the spice heat is impressive. The slightly sweet grassiness is still hanging around on the finish with a sour edge to it. 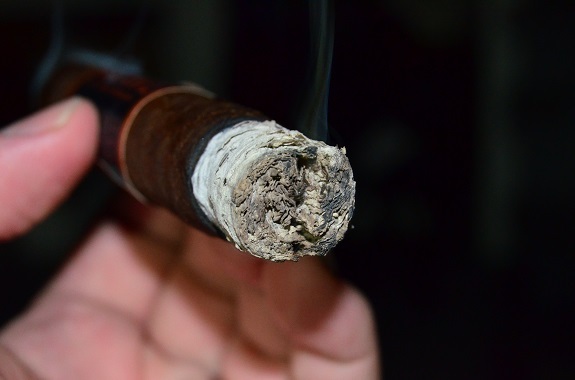 The cigar has a minor wave and the ash is quite flaky. The flavors develop in richness and there is a gritty earth alongside the leather as I transition into the final third. 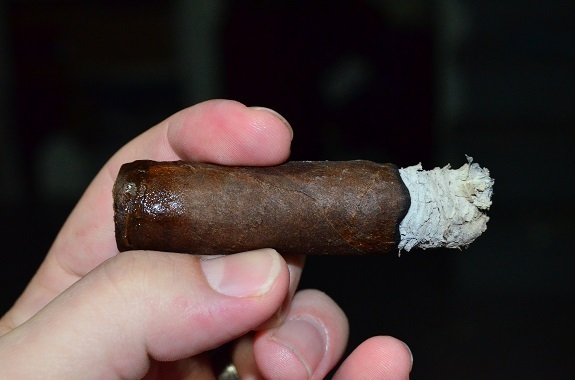 Surprisingly, the grassiness has held its ground throughout the cigar. The cigar continues to burn well as little flakes of ash drop with every small move. 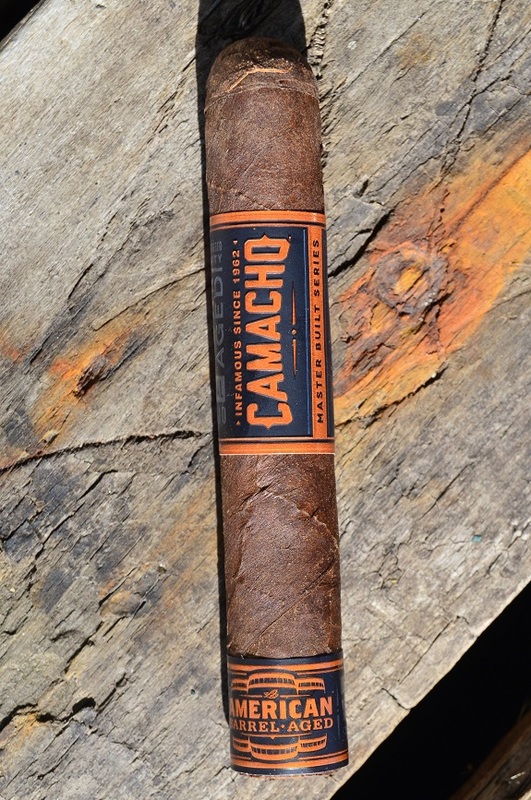 Camacho has never been a brand that I jump on with every new release. And I am sure you can tell since it took me nearly three years to smoke this cigar since the original release in 2015. But I am glad I finally made my way around to it. 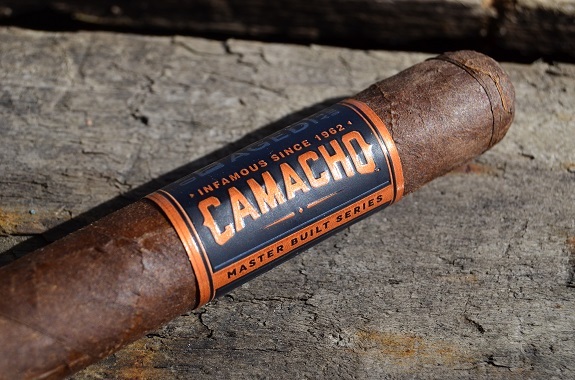 The Camacho American Barrel Aged Robusto provided a full flavored profile with rich notes of leather, some woodiness, and a gritty earth. The pepper spice is highlighted throughout the experience in both the flavor and heat departments. There was also an underlying grassy flavor that remained from start to finish that worked well with the blend and it wasn’t a flavor I expected to find. The cigar performed well with some minor burn hiccups and flaky ash in the second and final third. This is certainly a fun cigar to smoke and it worth the try. And I will now be on the lookout for the Nicaraguan Barrel Aged to see how it compares.